The first day of printing at oddi printing, in reykjavik was friday, then marteinn (my viking friend with the big, dark salmon–notice the volcano in the background–crazee!) 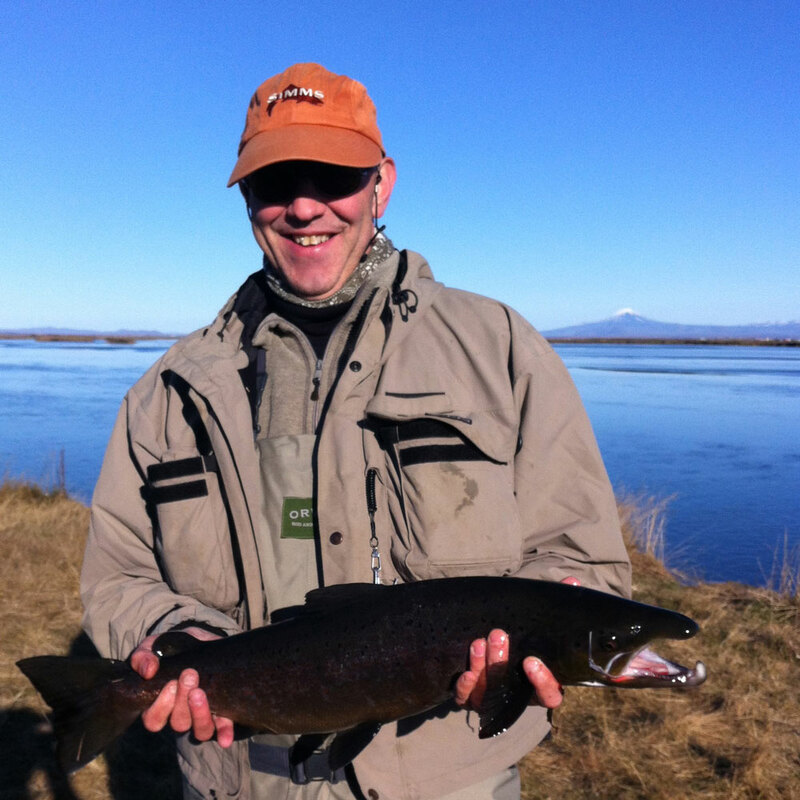 and i headed to the ranga river about 50 kilometers outside of reykjavik and spent the weekend fishing. (oddi was closed over the weekend. darn.) i met marteinn the first time i came to iceland to print the aldwyth book with mark sloan. marteinn was our rep then and still is–although he and and his family live in brooklyn now–we have become good friends over the years. 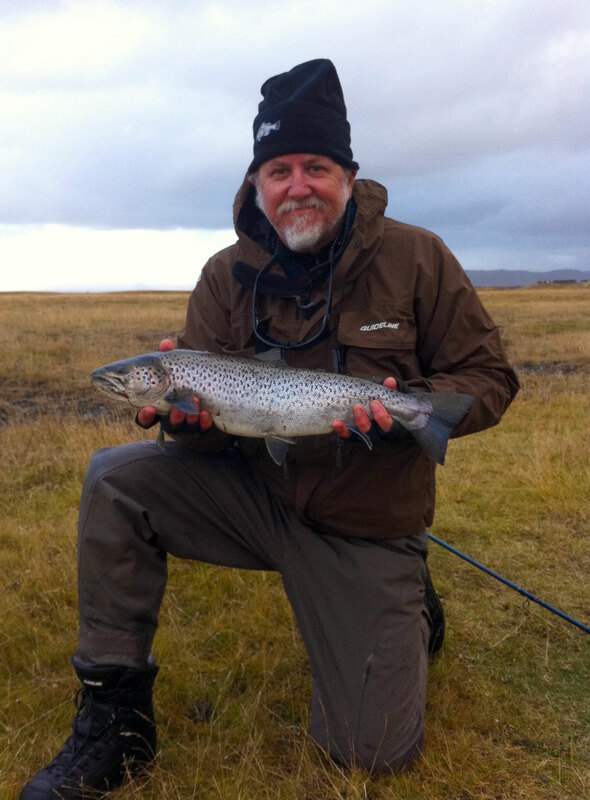 he is a consummate fisherman and had been wanting to show me some icelandic fishing and this trip allowed us some time to do just that. that is me with the big brown trout. we fished late friday, all day saturday and half a day sunday. the water temp was around 34 degrees F and the air was around 35 degrees F. damn cold. we had a blast! now i am in oddi for the rest of the week from 8am to 11pm until friday when i head out. i am working from my mobile command station on posters, logos, the show, while waiting as form after form come off the press. i will try to post everyday so stay tuned y’all. right on!